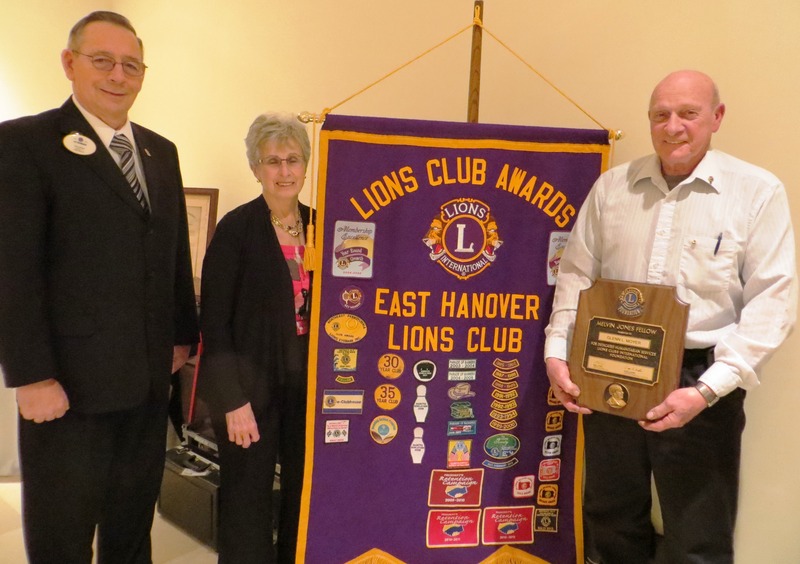 District Governor Lee Eisenhard and King Lion Eileen Longreen present a Melvin Jones Fellowship Award to Lion Glenn Moyer during 2014 Charter Night. 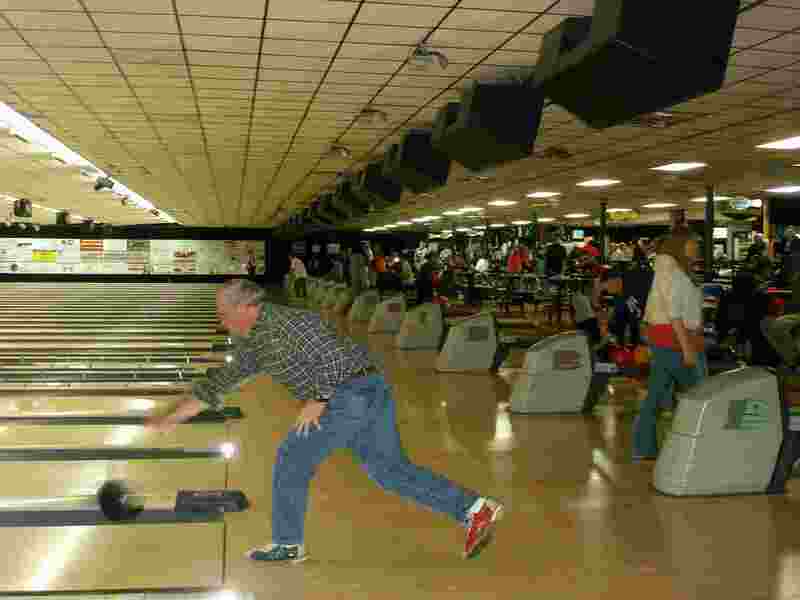 White Cane program chairman Lion Kerm shows how it's done. 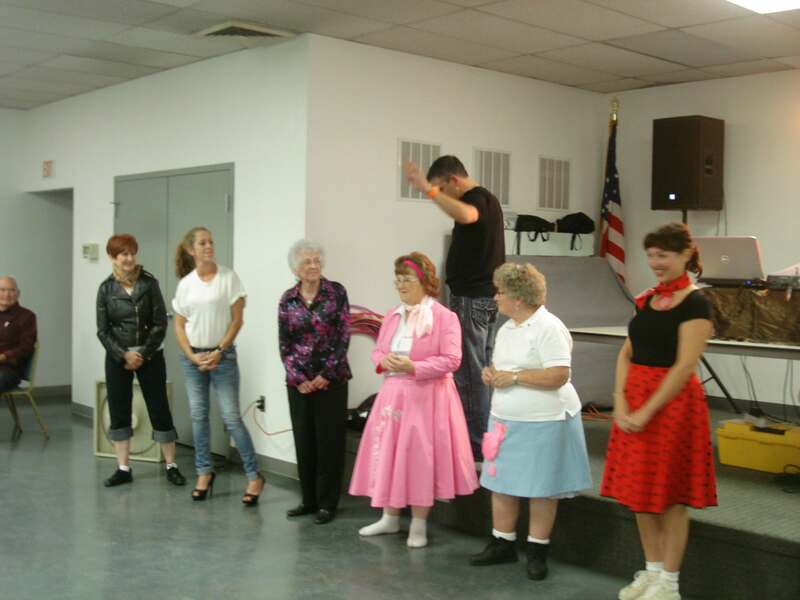 Judging the "Best Dressed Gal" at our annual 50's Dance. 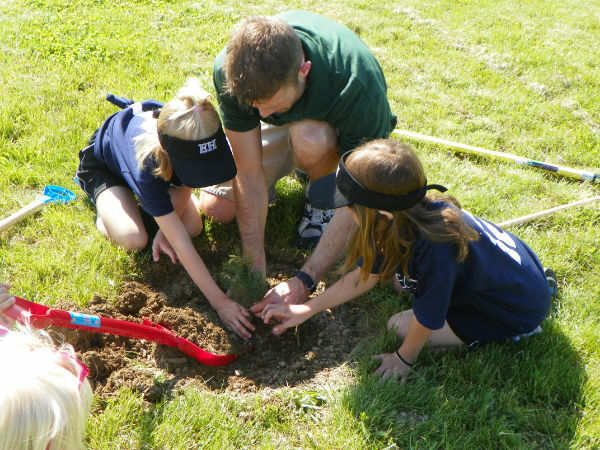 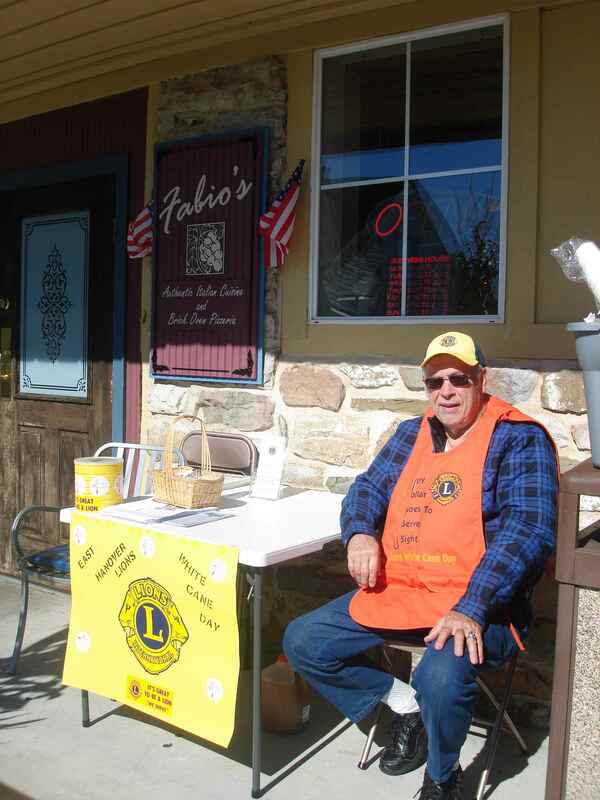 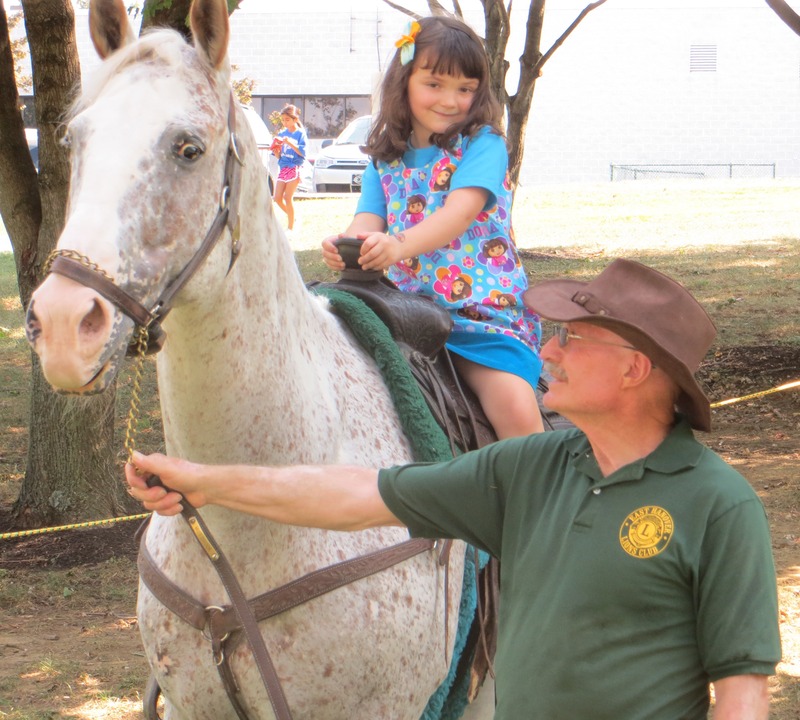 Lion Don and "Freckles" help make East Hanover Park Day fun for the youngsters. 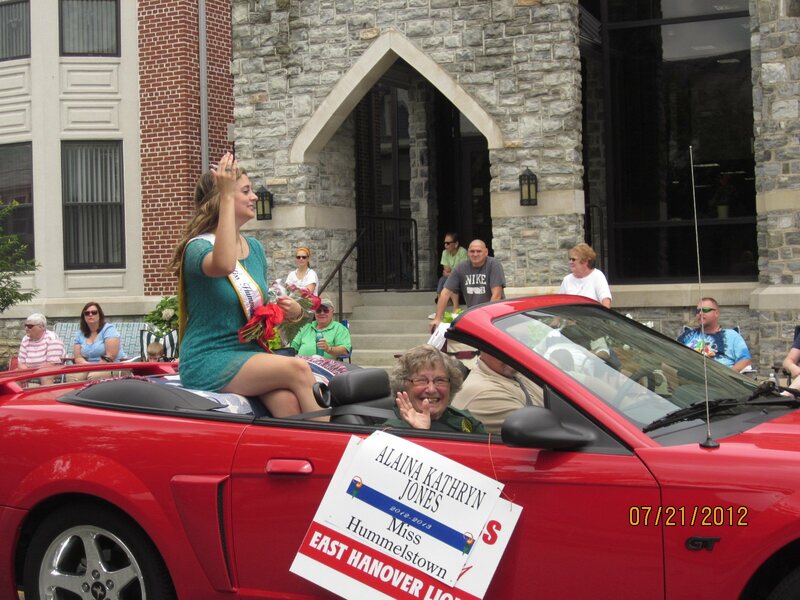 East Hanover Lions sponsored "Miss Hummelstown 2012", Alaina Jones,. 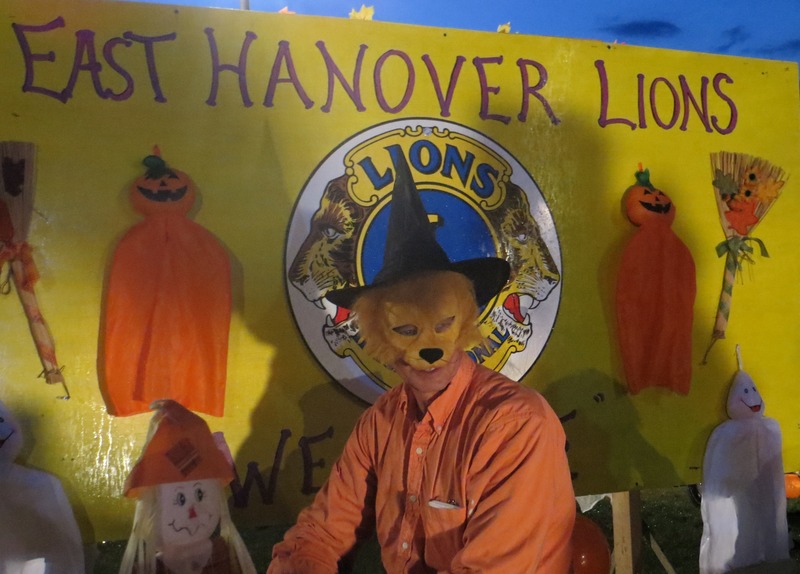 King Lion Shirley rides "shotgun"!